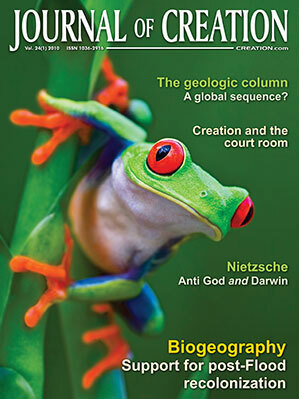 Evolutionists claim that the biogeographic distribution of organisms provides strong evidence for evolution. Although studies of biogeography provide strong support for the process of speciation, they do not fit the wider predictions of evolutionary theory, and are inconsistent with the ancient earth geologists’ model of slow continental drift. Evolutionary theory has difficulty explaining areas of endemism and the disjunct distributions seen in both the fossil record and the living world. The data can be seen to fit the biblical account of recolonisation following the Genesis Flood, and particularly the hypothesis that the observed patterns arose from global dispersal on natural rafts. Figure 1. 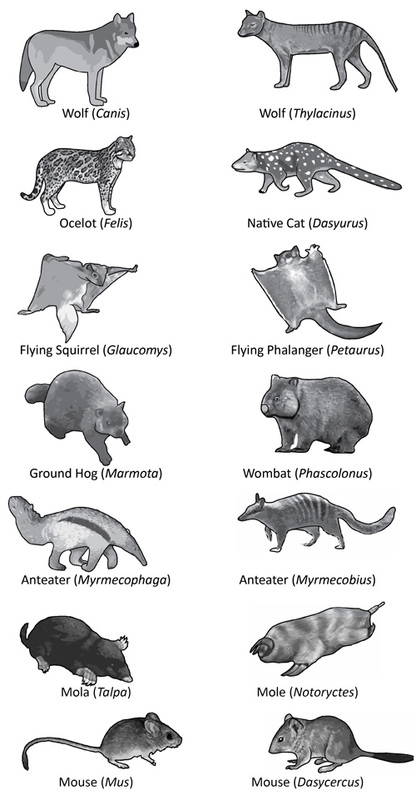 Placental mammals (left) and their marsupial counterparts (right). Biogeography is the study of the distribution of plants and animals throughout the world. From this, it is known that each of the continents has its own distinctive fauna and flora. In Africa, for example, we find rhinoceroses, hippopotamuses, lions, hyenas, giraffes, zebras, chimpanzees and gorillas. South America has none of these. Instead, it is home to pumas, jaguars, raccoons, opossums and armadillos. Marsupials are found in Australia and South America, but not in Europe. Such observations have led biogeographers to divide the world into six main faunal regions. Similarly, six main floral regions have been identified. Evolutionists claim that the most reasonable explanation for these biogeographic distributions is that the different animals and plants evolved separately, from ancestors that colonized different areas of the world thousands or millions of years ago. Further evidence for this is argued from the study of island biogeography. For example, of the 1,500 known species of fruit flies (Drosophila), nearly one third of them live only on the Hawaiian Islands. These islands are also home to more than 1,000 species of snails and other land molluscs that are not found anywhere else. In fact, some biogeographic observations are extremely difficult to explain within an evolutionary framework. Here, again, it is necessary to differentiate between speciation within a kind (which is accepted as fact by both creationists and evolutionists) and evolution between kinds. Biogeography does indeed provide evidence in support of the former, and the fruit flies, snails and other molluscs found on the Hawaiian Islands arguably provide some of the strongest evidence we have of this. Similarly, clear biogeographic evidence exists for the speciation of finches around the Galápagos archipelago, where similar but different species are found on the different islands.1 Almost certainly, this arose because the islands are close enough to enable a few birds to fly to a neighbouring island, but far enough away for the new colony to be isolated from the original group and less likely to interbreed with it. But how well does evolutionary theory explain the more general observations of biogeography? In fact, some biogeographic observations are extremely difficult to explain within an evolutionary framework. According to the theory of evolution, mammals developed from small, shrew-like creatures around 100 million years ago. 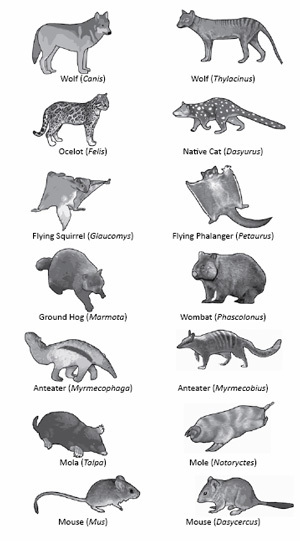 These creatures are argued to have evolved into, among others, the marsupials found in Australia and the placentals found in Europe and other parts of the world. What is so remarkable about these two groups is that, while their reproductive systems are fundamentally different, in other ways they are very similar (figure 1). For example, the skeletal structures of some European placental dogs are almost identical to those of Australian marsupial dogs. This is particularly evident when the skulls of the Tasmanian marsupial wolf (Thylacinus cynocephalus) and the European placental timber wolf (Canis lupus) are compared. Other placentals and marsupials, which supposedly evolved independently from one another, also show similar characteristics. Is it really credible that random mutations and environmental conditions on separate continents could have given rise to such similarities? Figure 2. Distribution of the plant genus Clethra (from Thorne, ref. 9). There is an abundance of other biogeographic anomalies that do not fit the expected evolutionary pattern. For example, the fauna of central and southern Africa is closer to that of southern Asia than that of northern Africa,11 and flora found in Madagascar is remarkably similar to that of Indonesia.12 Crowberries (Empetrum) are found only in the more northern regions of the northern hemisphere and in the most southern regions of the southern hemisphere. Many closely related plants are found only in eastern North America and eastern Asia. 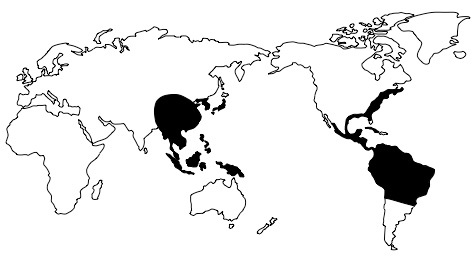 A study conducted by the Illinois State Museum showed that 627 seed plant genera are common to eastern Asia and eastern North America, 151 of which are not found in western North America.13 Significantly, some of the plants (and fungi) found in eastern Asia and eastern North America are identical at the species level, indicating that the disjunctions occurred very recently (that is, within the last few thousand years). If these disjunctions had occurred millions of years ago, as evolutionists believe, it is most unlikely that so many species would have remained the same in the two areas. This is because plants and animals are known to change rapidly in response to changes in their environments. The fossil record also presents problems for evolutionary explanations of biogeography. For example, there are many similar plant fossils in western North America and eastern Asia, but, according to the account of continental drift preferred by geologists, these rocks were laid down when Alaska and Russia were separated by thousands of kilometres of ocean.14 While living marsupials are very largely restricted to Australia and South America, their fossils from the period evolutionists call the “Late Cretaceous” (allegedly between 85 and 65 million years ago) are found exclusively in Eurasia and North America. As noted by Richard Cifelli, an Associate Professor in the Department of Zoology at Oklahoma University, “this geographical switch remains unexplained”.15 Interestingly, fossil marsupials have now been found on every continent.16 According to evolutionary theory, placentals evolved in the northern hemisphere and did not appear in Australia until around five million years ago. However, a recent discovery of what appears to be a placental fossil in Australia, in rocks supposedly 120 million years old, has caused evolutionists to suggest that placentals might have evolved first in the southern hemisphere, migrated north, and then become extinct in the southern continents!17 Lions are known to have lived in Israel, but fossils of lions have not been found there. Similarly, millions of bison once roamed the USA, but very few bison fossils are found there. To argue that a particular animal must have evolved in a particular place, simply because evidence that it lived anywhere else has not (yet) been found, is not necessarily scientific. In any discussion of patterns of biogeography it should be recognized that many of the theories are inevitably data-poor and, consequently, imagination-rich. Figure 3. Oreobolus track (from the Buffalo Museum of Science New York, USA). Figure 4. Correspondence of currents, gates and areas of endemism. The twenty areas of endemism identified by de Candolle are indicated by the numbers 1 to 20. The five biogeographic “gates” identified by Croizat are indicated by the letters A to E. (From Wise and Croxton, ref. 30). The destructive power of large volumes of fast-flowing water is enormous and, in the early stages of the Genesis Flood, would have been sufficient to rip up large amounts of woodland. Although some of this would have been buried in sediments, many billions of trees would have been left floating on the surface of the waters, as enormous “log mats”.28 These islands of vegetation, regularly watered by rainfall, could have easily supported plant and animal life over significant periods of time. Ocean currents would have moved these massive “rafts” around the globe, sometimes washing them up beside land, where animals and insects might “embark” or “disembark”, and then transporting them back out to sea. The ability of ocean currents to distribute floating objects around the world was seen recently, when thousands of bathtub rubber ducks were lost off a container ship in the North Pacific in 1992. 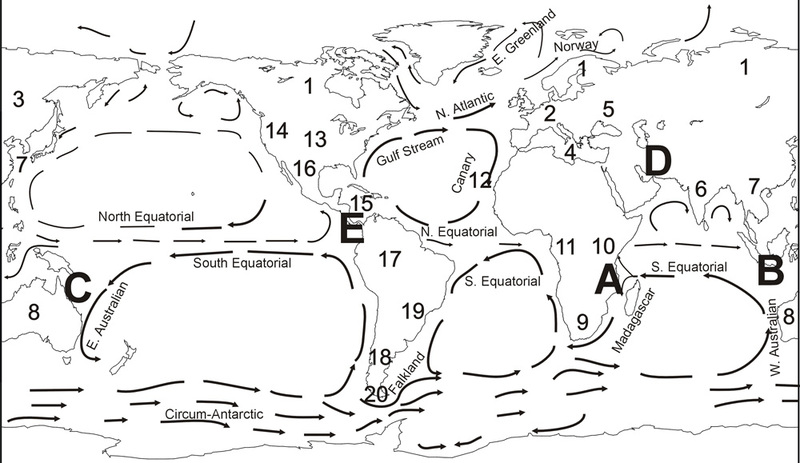 In fewer than twenty years, these had floated to Australia and South America, and subsequently into the Arctic and Atlantic oceans.29 In support of the rafting theory, Professor Kurt Wise and Matthew Croxton point out that the intersections of ocean currents with land masses appear to correspond with de Candolle’s areas of endemism and Croizat’s biogeographic gates (figure 4).30 It is not suggested here that land animals survived the Genesis Flood on rafts, but that rafts would have facilitated their dispersal after the Flood, as they multiplied and migrated away from the ark where it settled on mountains of Ararat (Genesis 8:4). It is clear that major changes in climate have taken place on various continents. Mammoths, rhinoceroses, bison, horses and antelopes, for example, once lived in large numbers in Northern Siberia. The deserts of Egypt were once rich savannahs.39 Groups of animals that once thrived in certain areas could have become extinct in these places, and only those that migrated to other continents would have survived. Indeed, climate change and competition from other animals could well have driven migration. Alternatively, the absence of particular groups on particular continents can be understood to be because they never migrated or were never transported to these places and survived. 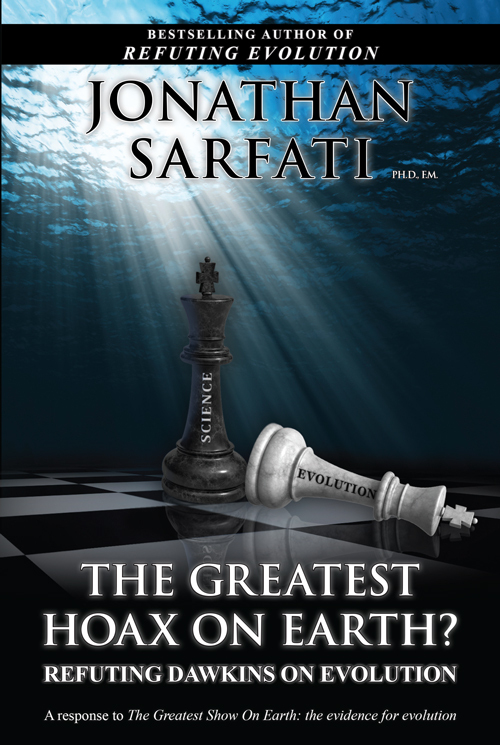 Contrary to statements often made by those seeking to refute creationism, most creationists do not argue that species are fixed and cannot change. Rather, they argue strongly in support of the process of speciation. Apart from the strong scientific evidence in support of speciation, it is an essential component of the biblical explanation for the diversity of life now seen on the earth. According to the Bible, the only land animals that survived the Flood were those that were saved by Noah. Every kind of animal was represented on the ark; from these, all species now living must be descended (Genesis 6–8). Biblical creationists believe, in principle, that the genetic information necessary to produce all these species was carried by the animals that disembarked from the ark. It should be repeated, however, that biblical creationists do not believe that speciation can cross kinds, so a reptile would never “speciate” into a mammal, for example, nor an ape into a man. 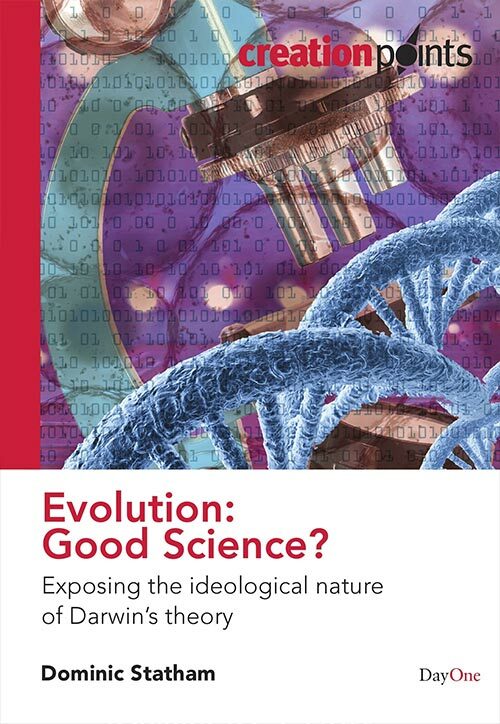 Accepting that animals and plants were made with the capacity to adapt to new environments, creationists argue that the presence of similar species or genera, in closely connected areas, can sometimes be explained by biological change. While observations of biogeography provide strong evidence for the process of speciation, they do not support the more general predictions of evolutionary theory or the ancient-earth geologists’ model of slow, continental drift. The data, however, can be seen to fit the biblical account of recolonization and diversification following the Genesis Flood. * This article is based on ch. 6 of Statham, D., Evolution: Good Science?, © Day One Publications (www.dayone.co.uk) 2009, (ISBN 978-1-84625-170-2), and is reproduced by kind permission. Wood, T.C., A Creationist Review and Preliminary Analysis of the History, Geology, Climate and Biology of the Galápagos Islands, Eugene, Wipf and Stock, OR, pp. 108–125, 2005. Return to text. Wood, T.C. and Murray, M.J., Understanding the Pattern of Life, Broadman & Holman, Nashville, TN, p. 192, 2003. Return to text. Humphries, C. and Parenti, L., Cladistic Biogeography: Interpreting Patterns of Plant and Animal Distributions, 2nd edn., Oxford University Press, Oxford, pp. 21–22, 1999. Return to text. Nelson, G. and Platnick, N., Systematics and Biogeography: Cladistics and Vicariance, Columbia University Press, New York, pp. 368, 524, 1981; Cox, C.B., The biogeographic regions reconsidered, Journal of Biogeography 28:511–523, 2001; interscience.wiley.com. Return to text. Ridley, M., Evolution, 3rd edn., Blackwell Science, Oxford, ch. 17, 2004. Return to text. George, W. and Lavocat, R., The Africa–South America Connection, Clarendon Press, Oxford, p. 159, 1993; Davis, C. et al., High-latitude tertiary migrations of an exclusively tropical clade: evidence from Malpighiaceae, International Journal of Plant Sciences 165 (4 Suppl. ):S107–S121, 2004; people.fas.harvard.edu. Return to text. George and Lavocat, ref. 6, ch. 9. Return to text. George and Lavocat, ref. 6, p. 159. Return to text. Thorne, R., Major disjunctions in the geographic ranges of seed plants, The Quarterly Review of Biology 47(4):365–411, 1972; Buffalo Museum of Science (New York), Panbiogeography: Pacific Basin Tracks, sciencebuff.org. Return to text. Allaby, M., Dromiciopsia; in: A Dictionary of Zoology, Oxford University Press, Oxford, 1999; encyclopedia.com. Return to text. Beck, W. et al., Life. An Introduction to Biology, 3rd edn., HarperCollins, New York, p. 1324, 1991. Return to text. Schatz, G., Malagasy/Indo-Australo-Malesian phytogeographic connections; in: Lourenço, W.R. (Ed. ), Biogeography of Madagascar, Editions Orstom, Paris, 1996, mobot.org. Return to text. Qian, H., Floristic relationships between eastern Asia and North America: test of Gray’s hypothesis, The American Naturalist 160(3):317–332, 2002. Return to text. Smiley, C., Pre-Tertiary phytogeography and continental drift: some apparent discrepancies; in: Gray J. and Boucot, A. (Eds. ), Historical Biogeography, Plate Tectonics and the Changing Environment, Oregon State University Press, Corvallis, OR, pp. 311–319, 1976. Return to text. Cifelli R. and Davis, B., Marsupial origins, Science 302:1899–1900, 2003. Return to text. Quantum, ABC, 6 November 1991, cited in Focus: news of interest about creation and evolution, Creation 14(2):5–8, 1992; Gish, D., Evolution: The Fossils Still Say No! Institute for Creation Research, El Cajon, CA, pp. 178–183, 1995. Return to text. Flannery, T., Forum: A hostile land—could one tiny fossil overthrow Australia’s orthodoxy?, New Scientist 157(2116):47, 1998. Return to text. Simpson, G.G., Mammals and land bridges, Journal of the Washington Academy of Sciences 30:137–163, 1940; wku.edu; Thorne, R., Major disjunctions in the geographic ranges of seed plants, The Quarterly Review of Biology 47(4):375, 1972; Hagen, A., Trans-Atlantic dispersal and phylogeography of cerastium arcticum (Caryophyllaceae) inferred from RAPD and SCAR markers, American Journal of Botany 88(1):103–112, 2001. Return to text. Another remarkable example of “convergent evolution” is the echolocation systems used by bats and whales, which, again, are believed to have evolved quite separately. That such similar and very sophisticated systems could have arisen through chance mutations stretches credibility a very long way; Spetner, L., Not by Chance, Judaica Press, New York, 1998. Return to text. Nelson,G. and Platnick, N., Systematics and Biogeography: Cladistics and Vicariance, Columbia University Press, New York, p. 223, 1981. Return to text. Moody, P., Introduction to Evolution, Harper & Brothers, New York, p. 262, 1953. Return to text. Heinsohn, T., A giant among possums, Nature Australia 26(12):24–31, 2001. Return to text. Tattersall, I., Madagascar’s lemurs, Scientific American 268(1):110–117, January 1993; p. 90. Return to text. Censky, E. et al., Over-water dispersal of lizards due to hurricanes, Nature 395:556, 1998; Yoon, C., Hapless iguanas float away and voyage grips biologists, The New York Times, 13 March 2008; nytimes.com. Return to text. Humphries. C. and Parenti, L., Cladistic Biogeography: Interpreting Patterns of Plant and Animal Distributions, 2nd edn., Oxford University Press, Oxford, pp. 33, 37, 1999; Croizat, L., Panbiogeography, vols. 1, 2A and 2B, self-published, 1958. Return to text. Seberg, O., Taxonomy, phylogeny, and biogeography of the genus Oreobolus R.Br. (Cyperaceae), with comments on the biogeography of the South Pacific Continents, Botanical Journal of the Linnean Society 96:119–195, 1998; Buffalo Museum of Science (New York), Vicariance biogeography and panbiogeography of the plant genus Oreobolus (Cyperaceae): a comparison of methods and results; sciencebuff.org. Return to text. Croizat, L., Panbiogeography, vol. 2B, fig. 259, p. 1018. Return to text. Scheven, J., The Carboniferous floating forest an extinct pre-Flood ecosystem, J. Creation (TJ) 10(1):70–81, 1996; Wieland, C., Forests that grew on water: startling hard facts from coal uproot the millions of years idea, Creation 18(1):20–24, December 1995. Return to text. Ford, P., Drifting rubber duckies chart oceans of plastic, Christian Science Monitor, 31 July 2003, www.csmonitor.com; Clerkin, B., Thousands of Rubber Ducks to Land on British shores after 15 year journey’, Daily Mail, 27 June 2007, www.dailymail.co.uk. Return to text. Wise, K.P. and Croxton, M., Rafting: a post-Flood biogeographic dispersal mechanism, Proceedings of the Fifth International Conference on Creationism, Creation Science Fellowship, Pittsburgh, PA, pp. 465–477, 2003. Return to text. In this, the Bible is emphatic. According to Genesis 11:8, “ … the LORD scattered them from there over all the earth”; and again, in Genesis 11:9, “From there the LORD scattered them over the face of the whole earth” (my italics). Return to text. 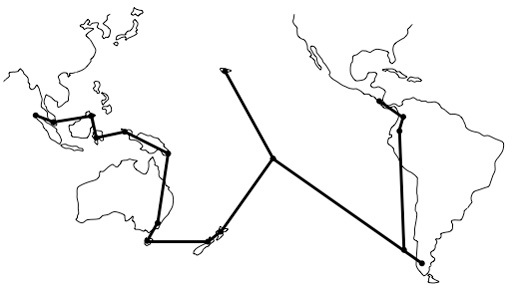 Schroeder, L.L., A possible post-Flood human migration route, J. Creation (TJ) 19(1):65–72, 2005. Return to text. Woodmorappe, J., Causes for the biogeographic distribution of land vertebrates after the Flood, Proceedings of the Second International Conference on Creationism, Pittsburgh, PA, pp. 361–370, 1990. Return to text. That is, they believe in one Ice Age, from around 2350 to 1500 BC, See Garner, P., The New Creationism, Evangelical Press, Darlington, UK, ch. 15, 2009. Return to text. Batten, D. (Ed. ), The Creation Answers Book, Creation Book Publishers, ch. 16, 2009. Return to text. Elias, S. et al., Life and times of the Bering Land Bridge, Nature 382:60–63, 1996. Return to text. Many biblical creationists also believe that the continents separated, but not over millions of years. 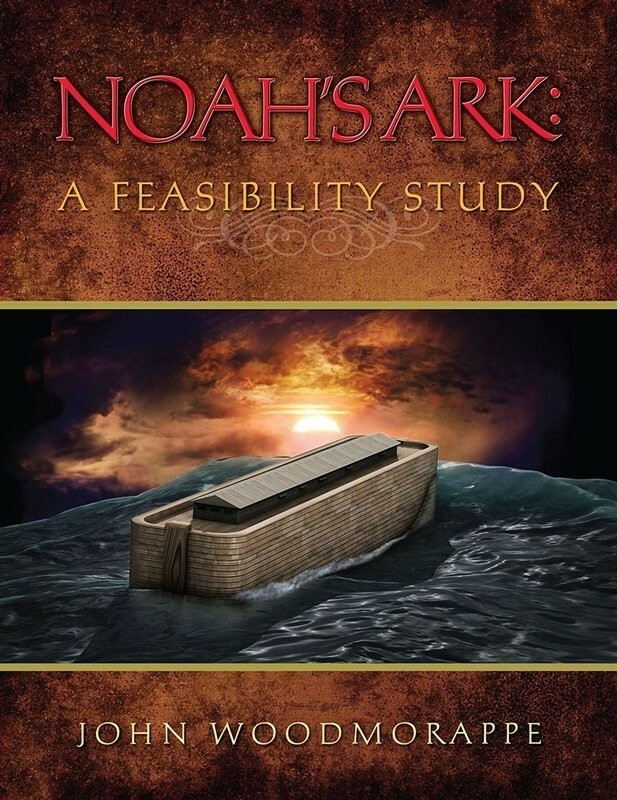 They understand this to have happened very rapidly, during or soon after the Genesis Flood. Dr John Baumgardner of the Los Alamos National Laboratory, USA, has produced a computer model of the earth’s mantle, and has shown that tectonic plate movement could have caused the continents to separate both spontaneously and very rapidly. The model also proposes a possible mechanism for the global Flood (Batten, D. (Ed. ), The Creation Answers Book, Creation Book Publishers, 157–166, 2009. Return to text. Wieland, C., The grey blanket, Creation 25(4):45–47, 2003. Return to text. Fitzpatrick, T., Scientists find fossil proof of Egypt’s ancient climate, Washington University, St Louis; wustl.edu. Return to text.